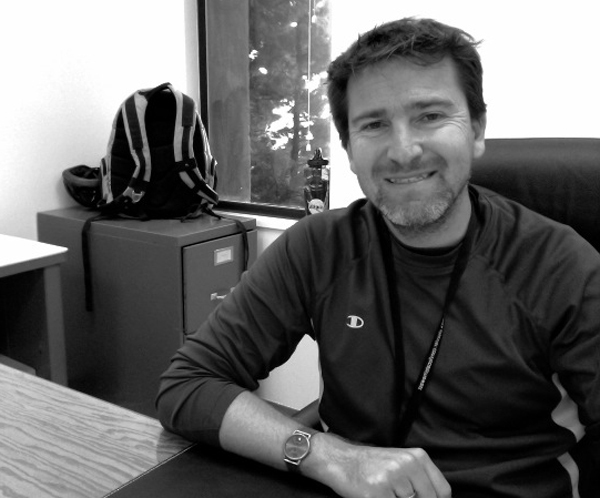 P avel Machalek is a data scientist for the Kepler Mission. Prior to joining the team, he obtained his own funding to work on the Spitzer Space Telescope using infrared photometry to investigate Hot Jupiters, studying their temperature and structure. For Kepler, he is currently working on light curve settings for the photometer, detecting high precision photometry of Hot Jupiters as they travel behind their star. A good portion of Pavel’s day is spent troubleshooting issues, searching out possible defects in Kepler’s photometry. This work contributes to the day-to-day operation of the satellite. He and other data scientists must ensure that the data products streaming from the satellite are still valid on a bi-weekly, monthly and quarterly cycle in an iterative process to ensure that the photometer’s data runs smoothly. When necessary, he works closely with the Science Operations Center (SOC) to improve the software code and resolve issues. 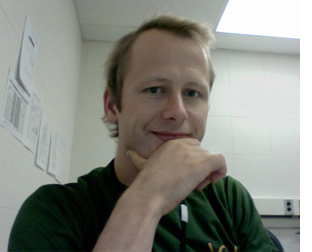 Pavel also helps produce documentation for both the pipeline and the public data release notes and is beginning to collaborate with the team on the Kepler scientific papers. To read Pavel’s biography, click here. By Kepler blog contributor, Marlowe Primack. Kepler’s primary scientific goal is to detect terrestrial planets in the habitable zone and the frequency in which they occur, however, the data the photometer is providing the scientific community reaches far beyond the search for exoplanets. In order to get a sense of Kepler’s depth I sat down with Martin Still, Director of the Guest Observer Program and newly appointed Deputy Science Office Director. I was curious to know what it would mean to Martin if Kepler were to find an “Earth-like” planet. “I fully appreciate that my personal views are heretical, but that’s why I was asked to run the Guest Observer Office, I don’t see exoplanets as the richest area of science that Kepler is pursuing. While time may prove me wrong, I feel that the habitable zone exoplanets that Kepler is searching for are almost certainly there. Their discovery is inevitable within the next few years either by Kepler or another project. For me, the beauty of Kepler is the other science that it’s doing. It’s re-exciting areas of astrophysics that have been quiet over the last 20 years, and promoting those areas which have been noisy but is contributing to them in new, significant ways, providing that extra step. If we are being honest and truthful with ourselves, the exoplanet mission provides enormous interest for the general public. However, in terms of NASA’s mission to understand the origin and structure of our universe, Kepler’s other activities provide a legacy which history may well regard to be of equal scientific importance.” Martin loves working with the Kepler team, “It’s a fantastic environment to work in, who wouldn’t be excited to work on this mission.” To read more about Martin’s educational background and prior work experience, click here. Jeffrey Van Cleve spends much of his time looking at data that Kepler is about to release to MAST, the Multimission Archive at the Space Telescope Science Institute. MAST supports a variety of astronomical data archives, with a primary focus on scientifically related data sets in the optical, ultraviolet, and near-infrared parts of the spectrum. Jeff and other members of the Kepler Data Analysis Working Group (DAWG) participate in this data review in order to verify that the Kepler Science Processing Pipeline performs as expected in most cases, and to understand the exceptions. A different part of his day might be spent working on an important and interesting linear algebra puzzle to improve the Pipeline. This is one of Jeffrey’s favorite aspects of his work. Another of Jeffrey’s tasks is working on file formats and coordinate system conventions for the MAST archive. He feels a “sense of mission that Kepler leave behind a legacy that people can use long after the mission is over to get some great science done. For example, even if almost every star system has a planet like the earth, more than 95% of Kepler’s targets will not show planets for geometrical reasons — a huge treasure trove of precise stellar light curves for astrophysical investigation. ”He and 4 or 5 other people who call themselves the FITS Fanatics work on this and though it might seem kind of dull to have lengthy discussions about file formats and header keywords, it is part of leaving behind a legacy which will make it easy for people to use and publish the data. Part of this process is to make the headers self-explanatory, so that they describe in detail how the data was collected, calibrated, and formatted. To help with this work, two new members have been hired in the science office to work on the release notes, eventually taking over editing them and generating tables and figures. The bonus? Jeffrey will have more time to work on linear algebra puzzles! To read Jeffrey Van Cleve’s full biography, click here. The Kepler Science Team is scattered all over the US (excepting our two colleagues that help to run the Asteroseismology Consortium… from Denmark!). Because of the distance, teleconferencing technology and platforms like webex for sharing computer desktops are as essential as the computers used to analyze the data. But sometimes no technology can replace a room full of brainpower all attacking the same problem or contemplating the same question. Maybe it’s just the smell of coffee and donuts or the inspiration derived from watching your colleague’s facial expressions. The reality is that more gets done when we’re all in the same room. So a few times each year, the team members pack up their laptops, hop on planes, and gather at the home institution of whomever happens to be taking his or her turn as the designated host. This week, the team gathered at NASA Ames Research Center in Mountain View, California. We call these our “Science Working Group” meetings, more lovingly referred to as SWG (“swig”) meetings. The first order of business is to hear status reports. How is the instrument performing? What does the budget look like going forward (as if we don’t already know the answer to that question)? What can we expect from future software releases and when can we expect them? We learned that the spacecraft has been free of safe mode events for almost 8 months now. This is very good news. With more than a year of data under our belt, we’ve learned a lot about the performance of the instrument. We see seasonal changes in the focus, for example, that are driven by the amount of sunlight striking the backside of the spacecraft. Varying sunlight levels induce slow temperature changes that affect the focal length of the photometer. The amplitude of the variation and its effect on the data is well within our tolerances. There is no indication that we’ll lose any more modules. The various working groups then share what they’ve accomplished over the last months. We heard a report, for example, from the Eclipsing Binary Working Group. Their goal is to produce an updated binary catalog using four quarters of data within the next 6 months. We are counting on them to tell us, statistically, how many binary stars of a given period and apparent brightness we expect to see — a number which helps us to understand how often we expect to find astrophysical signals in our data that mimic planet transits. We must understand this number well because most of our planet candidates will NOT be confirmed in the traditional sense — by way of high precision radial velocity measurements that give us the mass of planet. The catalog of planets that Kepler produces will be probabilistic in that every candidate will have an associated likelihood that the planet interpretation is correct. This is new territory we’re charting. It will lead to a new type of discourse on exoplanets in our galaxy. Someone wondered out loud how the public will react to the announcement of a new world… “with a 95% likelihood”. As he asks the question, I’m picturing the fine print on my wireless phone bill, and I’m hearing the guy at the end of the commercial who uninteligibly rattles off the litany of horrible side-effects that said medication can produce. That’s not a path we want to take. We’ll be asking the public to contemplate the Universe in a statistical sense, and it might get ugly. The team devoted a good fraction of its time discussing how these “likelihoods” will be computed. There are challenges ahead. A small committee will meet with the folks over at the Ames supercomputing facility to talk about ways to speed up the number crunching that will be required. We’ll likely have to revisit our priorities for utilizing highly competitive time on telescopes like Keck, WIYN, and the MMT. These discussion were kicked off by a talk that Jack Lissauer gave. The title of his talk became the leitmotif of the meeting: “Validation versus Confirmation”. We realize that there are issues we are only beginning to fully appreciate. This does not discourage us. To the contrary, it motivates us. This is the scientific method at its best. As we each head back to our home institutions, we know what to do. For two days, members of the Kepler Science Working Group filled the air in the meeting room with descriptions of their work on the pixels, the pipelines, and the planets. What impressed me most was the long hours and technical expertise everyone was contributing toward the still-absurd goal of finding and characterizing the first Earth-sized planets. The folks on the team are critically examining and improving the instruments, software, and performance of every aspect of the Kepler mission, down to truly invisible minutia. Some members are devoted to studying and minimizing electronics noise in the 94 megapixel light detector. Others are optimizing spacecraft stability. Some are dedicated to improving Kepler’s phenomenal photometric performance, working toward Kepler’s amazing goal of 20 parts per million. And some are observing Kepler “Objects of Interest” at ground-based telescopes by night, attending the meeting by day, and then going back to the telescope each night, all to verify and measure the planet candidates Kepler has identified. Just archiving all the information about the hundreds of “Kepler Objects of Interest” is a monumental task. In the end, I felt fortunate to be a part of the camaraderie. The meeting room was filled with a warmth of shared purpose. Everyone is working with mutual appreciation of the enormous challenges and personal sacrifices needed to get the job done. And everyone was swept along by the unprecedented hope of placing our home planet in its proper cosmic context. It was exciting to see how much work has been accomplished and overwhelming to see how much work still needs to be done. It was surpising to see so many new faces – the number of collaborators and contributors continues to grow – which is a very good thing. On Wednesday, the day after the science team meeting, there was an all-day session to discuss the follow-up observations of individual candidates. The participants rolled up their sleeves and worked extremely hard all day. By mid-afternoon it looked like the group had been locked up for a week – there were computer cords, styrofoam cups, jackets and sweaters, half-eaten doughnuts, empty soft-drink cans, and miscellaneous debris strewn everywhere, as people had not even left to get lunch. The single-mindedness, dedication, and teamwork demonstrated by the scientists as they struggled to interpret the myriad observations on a plethora of candidate planets was a joy to behold. As a member of the Follow-up Observing Team, my days(and nights) are focused on collecting astronomical data that contributes to our understanding of the potential planets that Kepler finds. Since my work is focused on extending what Kepler finds, I forget that dozens of people are working on every detail of the Kepler project. Nearly all of the people at the SWG meeting need to complete their work, before I can do my own. From satellite communication, to public outreach, to nitty gritty pixel-level analysis, the amount of work that goes into Kepler is absolutely amazing. Watching all the entire Kepler picture be painted was remarkable. Work on astronomy largely ground to a halt this morning as the Decadal Review was published outlining the direction the field should take over the next 10 years. With so many bright ideas floating around in astronomy, it can be hard to pick out the most interesting questions and the projects most likely to answer those questions. So every 10 years, the nation’s astronomers come together to take a look at the big picture, and to look to the future. The report starts by looking back at the dramatic progress made in the past few years. It’s hard to believe that a mere 20 years ago, we had no idea that dark energy existed, or whether planets existed around any star in the Galaxy other than our own. But while we’ve climbed some impressive scientific mountains in the past twenty years, there are even more impressive peaks on the trail ahead. The Decadal Review considers “the most profound discovery in the coming decade may be the detection of potentially habitable Earth-like planets orbiting other stars”. People have dreamed of that day ever since the times of the ancient Greeks. This goal has two steps. First we need to find Earth-sized planets at just the right distance from their parent star, and then we will need to develop new technology to probe their atmospheres to search for oxygen, nitrogen, and the other elements we expect to find on a habitable, Earth-like, planet. The second task is extraordinarily difficult. Earth-sized planets are small, far away, and hidden in the glare of their parent stars. A lot of development is still needed to build instruments to overcome those problems. Despite the challenges, the review places the challenge of imaging a habitable planet as a “Priority 1” goal, and Kepler as a key mission along the way. In the meantime, Kepler is already hard at work answering the first question. Staring, unblinking, at 170,000 stars day after day, it will detect a minute change in brightness when a planet passes in front of the star it orbits. Before the decade is even half over, we hope to have found the first Earth-sized planet, and also to discover if such planets are commonplace, or rare. The Decadal Review is mostly a dry, academic document with careful phrases and important caveats, but it rises to more poetic language when it attempts to describe the importance of this work. Hopefully, “one day, parents and children could gaze at the sky and know that a place somewhat like home exists around ‘THAT’ star”. That day (or night!) is probably still more than a decade away, but it’s an awful lot closer than it was ten years ago. And so, here on the Kepler Team, we’re putting down our Decadal Reviews, and getting back to the work of bringing that day a little nearer. Two weeks ago I gave a talk at TED Global 2010 which was very well received, but caused confusion. I referred to past results from the NASA Kepler mission. Indeed, Kepler has not discovered Earth-like planets in habitable zones. We have not found Earth-size planets; at this time we have found only planet candidates – 706 of them as of June 15, 2010, based on only 43 days of data with 306 released and discussed in a paper by the Kepler team. Planet candidates are just that: “candidates”. A sizable fraction will turn out not to be planets, and we do not know what that fraction is yet. So that was my challenge – Kepler measures planet sizes, while I wanted to talk about geochemistry. In just 18 minutes. So, the expected number of planets, size and Earth-like chemistry got confused, and created a misunderstanding. The family of our Solar System planets seems simple when sorted by size: half of the planets are large (giants) and half of the planets are small (terrestrial). The giants contain a lot of light gases (hydrogen and helium) in their bulk composition while the terrestrial ones contain mostly heavier elements. 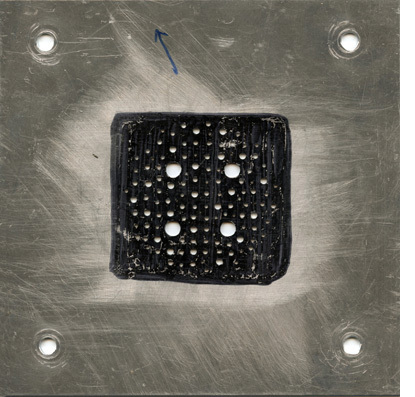 Too much hydrogen and helium dilute the surface chemistry, while heavy elements and solid surfaces tend to concentrate it. There is one planet in our Solar System where the chemistry has evolved to biochemistry and to a biosphere. In the search for life beyond Earth, the smaller planets are thus the favorite places to look. The Kepler mission is designed to discover Earth-size planets by detecting and measuring their transits. The Kepler team collects additional information as it works to confirm a planet discovery, but one essential physical parameter Kepler provides is SIZE, the planetary radius. However, is “Earth-size” the same as “Earth-like”? And vice versa? Kepler is capable of finding Earth-size planets in orbits of moderate temperatures. But most people consider the term “Earth-like” to mean that the planet has an atmosphere, liquid water on its surface, and a temperature conducive to life. In other words, “Earth-like” is often used to mean ‘habitable’. Therefore, Earth-size and Earth-like are certainly not the same. Take the example of Venus, an Earth-size planet whose surface will melt lead. The term “Earth-like” planet creates confusion. To some scientists like me, who model planet interiors, the term “Earth-like” is a simple short-hand for a bulk composition like Earth’s. It emphasizes the broad difference between gas giants and terrestrial planets, as seen in our Solar System. However, I understand that this is not how it was interpreted by the majority of the media coverage. My definition allows for a whole range of planet sizes to be “Earth-like” planets. Thus, the question – what size planets might be “Earth-like”?, is more interesting. According to my definition, it involves the so-called “super-Earths” – planets larger in size and mass than the Earth, yet smaller than the giant planets. Many super-Earths are expected to have the same properties and potential for life as habitable Earth-size planets. Kepler planetary candidates, like the 306 released this past June 15th, have estimated orbits and sizes. Sorted by apparent size, the majority of the candidates are found to be Neptune-size and smaller. This is the good news. As of today none of the candidates smaller than 2 Earth radii is in the habitable zone; their orbits are too small, which is why it was easier to spot them after just 43 days. Habitable planets will take a lot more time, as Kepler needs to observe more than one transit. The first data release is an encouraging first step along the road to Kepler’s ultimate goals, specifically, to determine the frequency of Earth-size planets in and near the habitable zone. However, these are candidates, not systems that have been verified sufficiently to be considered as planets. The distribution of planet sizes may also change. It will take more years of hard work to get to our goal, but we can do it. The TED Global conference is about ideas worth spreading to a general audience. In my TED talk I decided to discuss the idea that science seems to be at the threshold of a new revolution – of synthetic biology. Ironically, this is happening at the completion of the previous, Copernican, revolution. My point was that the two events are related, and that, tantalizingly, progress in synthetic biology may be accelerated by input from planetary science. This is the core of the project I lead and we call the Origins of Life Initiative (not associated with the Kepler Mission). The Origins of Life Initiative makes connections between geochemistry and biochemistry. The Kepler mission helps our project by establishing feasibility: if solid planets are common, then we have a shot at trying our lab experiments. This works as long as the planets have geochemical cycles that determine their atmospheric signatures. Hence, planets somewhat larger than Earth are more favorable (Sasselov & Valencia, Sci. American, Aug 2010). The Drake equation gives us an estimate of about 100 million such planets with habitable potential in the Milky Way galaxy. Kepler has not yet weighed in on this yet, but holds the potential to do so in the future. Kepler Website Wins Webby Award! Have you visitedKepler’s new website? www.kepler.nasa.gov <http://www.kepler.nasa.gov> It wasredesigned and launched back in January. Someone noticed! Kepler: A Search for Habitable Planets was selected as an Official Honoree for the Science category in The 14th Annual Webby Awards. 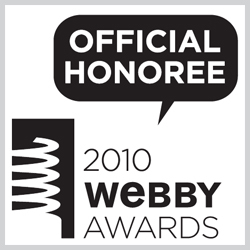 The Webby Awards is theInternet’s most respected symbol of success. Webby Honorees, Nominees andWinners truly represent the best of the Web. 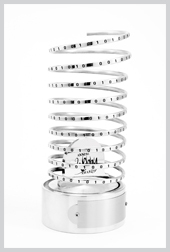 The 14th Annual Webby Awardsreceived nearly 10,000 entries from all 50 states and over 60 countriesworldwide. The Webby Awards ispresented by the International Academy of Digital Arts and Sciences, a650-person judging academy whose members include Internet co-inventor VintonCerf, R/GA’s Chief Bob Greenberg, “Simpson’s” creator Matt Groening,Arianna Huffington, and Harvey Weinstein. So now it’s time to turnthe spotlight on the talented folks who worked so hard to make it happen. Kudosto our website redesign team! Credit goes to Michael Greene for overseeing the project,to teams at JPL and Raytheon, including Joshua Rodriguez, Randal Jackson,Cornell Lewis, Joe Wieclawek, Maryia Davis and Ernest Koeberlein, Harman Smith,Randii Oliver, Erick Zwlaya ; and the Kepler EPO folks, Dave Koch, of NASAAmes, Edna DeVore, of SETI Institute and Alan Gould of Lawrence Hall ofScience, Berkeley. Author wstenzelPosted on May 6, 2010 March 19, 2013 Categories UncategorizedTags General2 Comments on Kepler Website Wins Webby Award!